Peaky Blinders — the TV series described as a Brummie Boardwalk Empire — really has become something of a phenomenon. 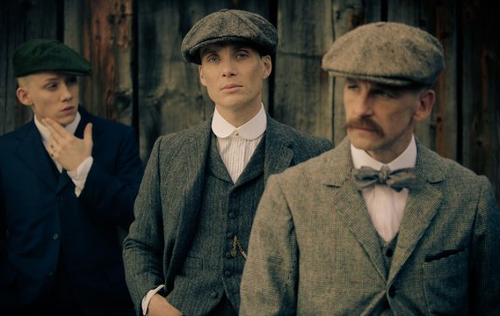 If I had a brass farthing for every Peaky Blinder dress-alike I've come across, I would have a sack of worthless farthings; and this is great, men dressing like men. Some go all-in. Living legend Gustav Temple of The Chap was obviously going to be drawn to the clothes of Peaky Blinders and was not going to hold back in recreating the look, as can be seen in this photo from a Peaky Blinders shoot for the magazine. I don't think I've ever seen Gustav look so red-blooded. It must be the cap. 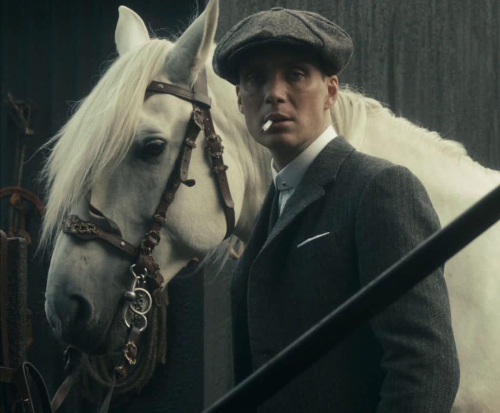 Most latter-day Peaky Blinders suffice with a cap, a tweed jacket and a packet of Woodbine untipped. No matter what is added in addition, the cap is essential. 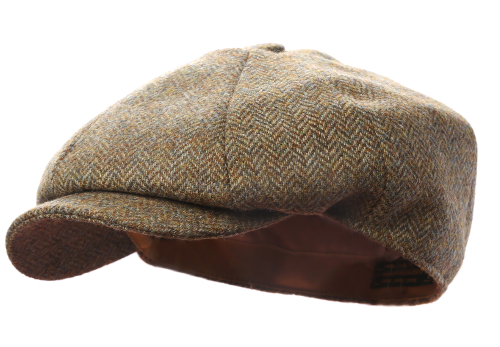 The cap explains how the original Peaky Blinders got their name. 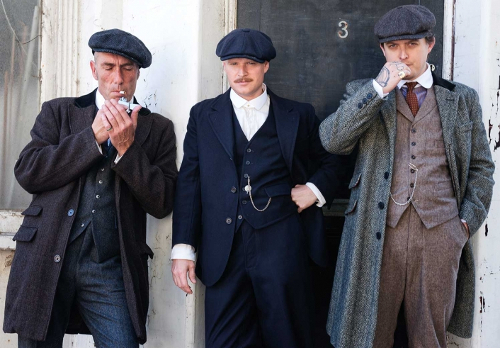 The Peaky Blinders were well-dressed Birmingham-based gangsters from the Victorian era. A peaked flat cap was part of their uniform. The cap also had a practical logic as razor blades would be sewn into the peak so that it could be used as a weapon. Lawrence & Foster make hats in Yorkshire, England. Established in 1994, Lawrence & Foster are 'dedicated to producing traditional tailored headwear for the UK and the wider world' using British tweeds and woollen and linen cloths. 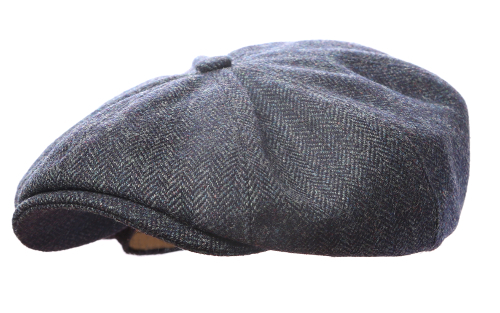 The men's range includes Peaky-friendly eight-piece caps. Here we see the fantastic Dalby in a Ribble tweed — peaky blinding. The cap has a deep back and an extended handsewn curved peak. 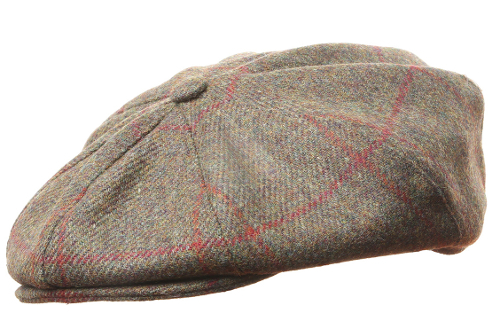 Lawrence & Foster recommend it in a heavier tweed. 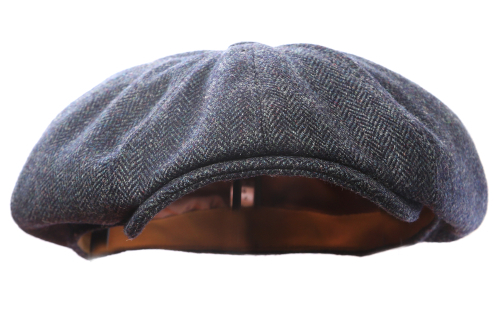 As with all Lawrence & Foster hats, the Dalby is available in a range of cloths. Lawrence & Foster produce other variations on the eight-piece cap. We have the deeper Towton followed by the more classically-shaped York below. The York is shown in the Nidd tweed. This style of cap incorporates top-stitched segments, all caps having traditional hessian interlining. Whichever style you choose, it might be sensible to forgo the razor blades; I would imagine there's likely to be some health and safety issue in play. Hi Tweedy. Very nice caps indeed. I have two I purchased last year. Highly recommended. They make them to order to your exact size. Quite helpful, particularly if, like me, you have a large noggin.